The Wall Street Journal’s writers are known for great reporting, but they clearly didn’t do a lot of research when they wrote today’s article Can You Sleep Train Your Baby at 2 Months? Lots of agonizing parent reports of the cry-it-out method, and professional agreement that babies 8 weeks old don’t sleep through the night normally anyway. They totally got it right that running and picking up a waking (but not screaming) baby is not going to teach good sleep habits, but there was no mention of pick-up/put-down, using Dr. Karp’s 5 S’s for deepening sleep in newborns, not even the use of swaddling to build a precious extra hour of sleep! Parents who do not know how to handle the screaming and/or want to develop good sleep habits will go away from this article wondering if they can truly hack listening to an infant scream for the common “30-40” minutes. What a mistake!! Crying like that doesn’t do anyone any good. It isn’t good for a baby or a parent, and can lead an exhausted and demoralized parent down the path to desperation, including falling asleep on the couch holding a baby (a documented suffocation or fall risk), feeding a baby large and frequent feedings to “sedate” them, or shaking that baby after nothing works. Creating good sleeping behaviors in the first 3 months is completely possible and much easier to do than letting them scream. But sleep at this age isn’t a full 8 hours, it isn’t done without creating a sleep environment that supports brain development at this age. It takes some knowledge of baby development, some patience, and a willingness to accept that the techniques that work for a 3 year-old are ridiculous for a 3 month-old. Apples and oranges, apples and oranges. After a few years of being a Happiest Baby on the Block educator, I am becoming increasingly frustrated and discouraged with the situations I hear out in the world of baby calming. My grandmother from the old country knew more about handling newborns than most professionals with doctorate degrees! Like the story of the elephant and the blind man, many of the professionals I meet are largely concerned with protecting their piece of the authority pie than helping babies and parents. Researchers spend more time in universities and labs than out in the field, which is to say in people’s homes, calming babies themselves. Yes, it really builds your skills if you have actually successfully calmed babies with your recommendations, not just assembled results of research studies. This is not “anecdotal evidence”, my friends, this is real life experience. Get some. Parents, please, please, do not read the WSJ article and redouble your efforts at cry-it-out with young infants. Read Dr. Karp’s book The Happiest Baby on the Block, watch his video, contact me or another certified educator, just do not think that this is all there is out there. BTW, Dr. Karp’s book The Happiest Baby Guide to Great Sleep will take you all the way into the kindergarten year, with good advice about toddlers and preschoolers! This entry was posted in child safety, infant sleep strategies, newborns, parenting, Uncategorized and tagged Cry-it-out, happiest baby, newborn sleep, sleep training, WSJ sleep on May 3, 2016 by Tranquil Babies. I just downloaded the entire American Academy of Pediatrics’ Technical Report-SIDS and Other Sleep-Related Infant Deaths: Expansion of Recommendations for a Safe Infant Sleeping Environment. It was a large file to read, but the bottom line for me was this: they must not have any sense what it is like to be a new parent, and maybe not what it is like for practicing pediatricians. In other words, they say what to do and what not to do to prevent SIDS, but don’t mention how to accomplish any of it in the world of actual babies and parents, where crying and sleeping is real, not theory. No wonder parents don’t follow the guidelines. Without useful strategies and simple explanations, most parents wouldn’t be willing to follow their recommendations for very long. In my opinion, the most difficult guidelines for parents are the instructions to only place newborns on their backs to sleep, and not to have a baby sleep in the bed on on the parent. Babies should be in the room, but not in the bed, with an adult. Simple, right? Not. Sleep-deprived new parents are struggling to comprehend all the things they should and shouldn’t do. Defensive driver classes say that lack of sleep makes you drive like you are drunk. Why should we expect the parents of newborns who get 5 hours of sleep a day to think clearly? Because they aren’t behind the wheel? An exhausted parent isn’t just tired. They are less capable of judging what is safe and how to follow their pediatrician’s general recommendations. They are going to let a 4 week-old sleep in the car seat for over 30 minutes because he slept poorly last night, pick him up from his “tummy time” right away when he cries because they are so frazzled, and use a positioning wedge in the crib. 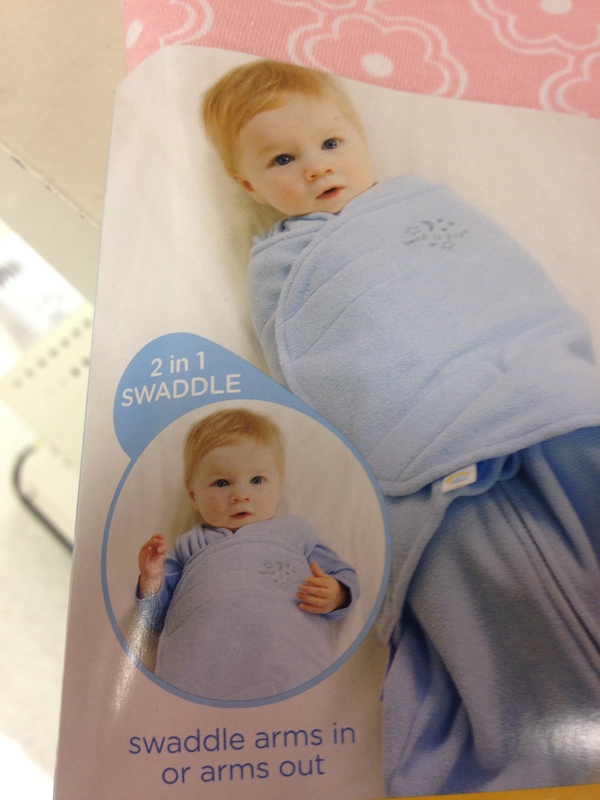 They will be afraid to use a pacifier at 5 weeks, and will abandon swaddling when they can’t get it snug. I can’t blame them one bit. Babies aren’t simple. Their crying when they are put down rips a parent apart. No one knows how to deal with newborns without some help. The New York Times ran a story in 2005 that made me stop in my tracks before I finished reading it. They reported on the increase in parents placing their babies on their backs to sleep after hearing about the Safe to Sleep protocol from professionals. Turns out, their newborns had a hard time sleeping in this position. It is well known that many babies don’t sleep as deeply or as long in this position, and for some simple reasons. Their random arm movements wake them, they turn their heads and motor reflexes wake them, and they traded the firm support of the womb for the feeling of floating in space on a bassinet mattress. Who could sleep well like that? I see things differently. Professionals should anticipate the need to provide practical strategies when they teach their lifesaving guidelines. Expecting exhausted parents to “think critically and apply these recommendations” is asking much too much from well-meaning but tired and vulnerable people. It just seems very unfair for pediatricians to know full well how hard those first few months are, and yet not be more practically helpful. Then again, they may not have any direct experience or even know what to do with a baby after a checkup or a treatment. After all, they treat medical problems. SIDS is a medical problem. Sleeping, calming and caring for babies isn’t really a medical problem. If doctors or other professionals are not able to provide real-life instruction in ways to make the Safe to Sleep program successful in the real world, they should have resources to offer to parents. As a Happiest Baby educator and a pediatric occupational therapist, I wish that every parent had the ability to learn how to use Dr. Karp’s amazing baby calming and sleep techniques from me, and how to carry and hold their babies to develop good head control. I wish I could show every parent how to make “tummy time” fun and easy. I write this blog in order to reach out to parents with love and support. They don’t have as many resources as they deserve. This entry was posted in child safety, infant sleep strategies, newborns, parenting and tagged AAP, newborn sleep, newborns, pediatricians and safe sleep guidelines, safe infant sleep, safe sleep, Safe Sleep guidelines ignored by parents, SIDS, SIDS prevention limited by lack of practical advice, sleep-related deaths on February 15, 2016 by Tranquil Babies.